Hey, all you Rough Riders! 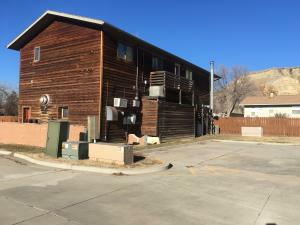 Check out this residential/commercial property! 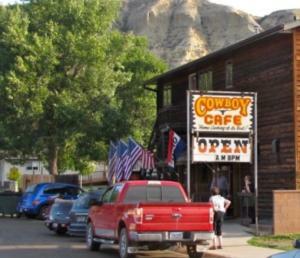 Whether you arrive by horseback, 4x4 truck, comfy Caddy, or Greyhound, the Cowboy Cafe is a ''must stop'' while in Medora, ND! 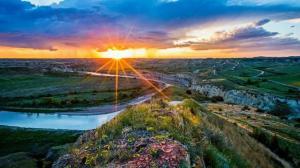 Set in the beautiful North Dakota Badlands, Medora is home to the THEODORE ROOSEVELT NATIONAL PARK, the inspiring & challenging MAH DA HEY TRAIL, the BULLY PULPIT GOLF COURSE, & the legendary MEDORA MUSICAL, an outstanding outdoor musical performance begun nearly 60 years ago! These attractions bring in 1000's of visitors each year - and THEY ARE ALL HUNGRY! 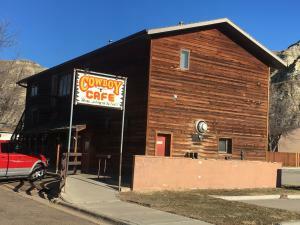 The Cowboy Cafe is unique to this historic community! Able to comfortably seat around 70 persons in the dining room, which is decked out with heavy-duty pine tables and chairs, guests are quickly served hot, homemade meals. 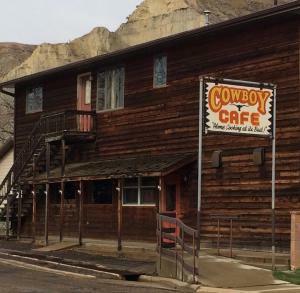 Mouth-watering breakfast, lunch, & dinner items featuring local dishes specific to Western North Dakota will provide you lasting, delectable memories! The Cowboy Cafe has steady, year-round catering opportunities for large & small local & regional events. Able to be in operation year-round, the business will be sold turn-key with all furniture, fixtures, equipment, & utensils necessary for operation included, as well as the building & land. 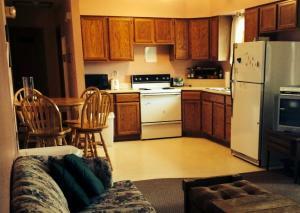 The main floor, housing the cafe, consists of the dining room, kitchen area, & restrooms. 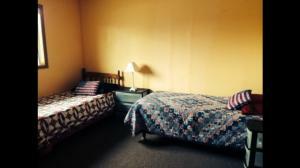 The upper level, added in 1992, provides living quarters for owners, managers, or employees. 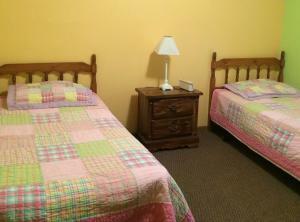 It consists of kitchen, bathrooms, living & dining areas, laundry, & 5 bedrooms. Owners are willing to aide purchasers in the transition, introduce them to the community, & acquaint them with suppliers and servicing companies.All inquiries are private & are to be directed to the listing agents. Please do not inquire at the cafe. Pre-qualification & a confidentiality agreement are required prior to touring the facility or receiving any financial information. Listing agents must be present for all showings.